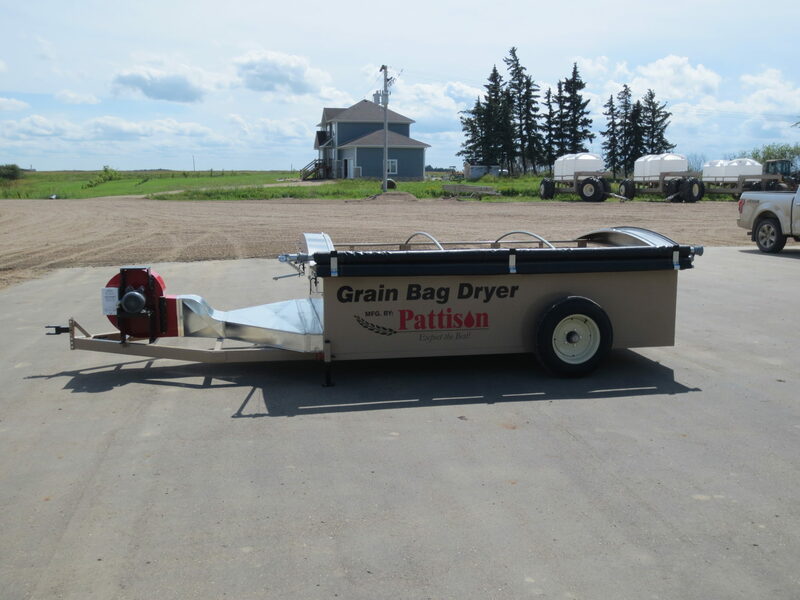 At Pattison’s we look to help service the agriculture industry with special equipment. Read below to see the recent special projects we have undertaken to help researchers and agriculture retailers. Recently Pattison Liquid Systems helped a fertilizer retailer in Southern Saskatchewan. This retailer was looking for a system that would allow them to custom blend micro-nutrients with their liquid fertilizer products while loading. This system is integrated into their outboard system, allowing them to easily blend right into trucks. By introducing the Pattison Inductor it helped reduce the time needed for each load, servicing more customers in a day. 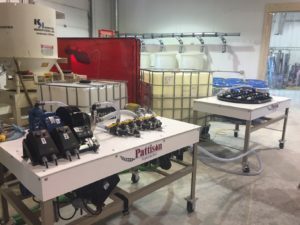 The Pattison Inductor allowed them to easily blend any of their micros efficiently, accurately, and quickly with zero mess or extra tanks. It was important to integrate a compact system that increased the safety for their employees and customers. By adding the Inductor to their fill station, they also reduced the chances of any spills in their yard. This system worked extremely well this past spring. We are currently working with another retailer to enable them to blend at their location as well. Our systems are designed specifically for each client and tailored to their needs. Contact us for any questions regarding the Pattison Inductor! Sulvaris approached us looking for a special testing platform for their products. This platform allows them to accurately test the reactions of pressure on their product in as close to possible real-life scenarios. We supplied them with multiple pump types and tenability to vary their speeds. Sulvaris is able to test products from 10-100 PSI and easily switch between any and all spray nozzel types. 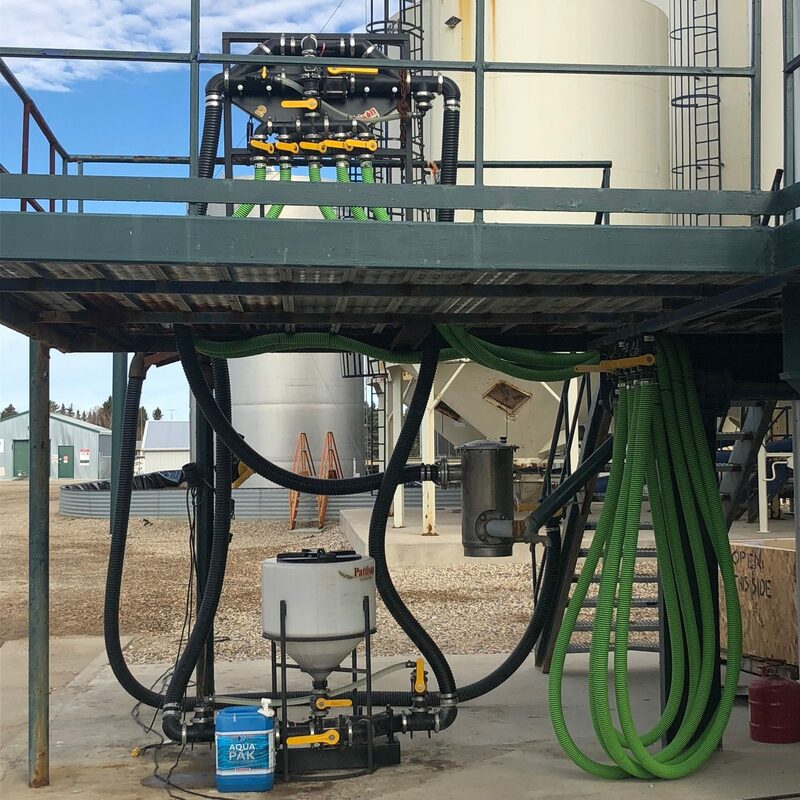 Also, with this system they are able to test products through pressure based liquid fertilizer orifices or variable rate nozzles. The system works very well and has been used for over two years with great success. The I.H.A.R.F. grain bag dryer was built to allow them to move the dryer to different locations and dry bagged samples. It has 6 compartments (2 wide, 3 deep) that the air flow can be opened or closed to. The front 2 compartments always have air flow and the remaining 4 operate only if grain bags are in them. The roll tarp allows it to stay outside and dry grain in wet conditions. Around the parameter is a vented edge below the tarp allowing air out. The electric motor and blower fan is located on the front hitch of the trailer. It was designed with a low height allowing users to easily insert bags into it.